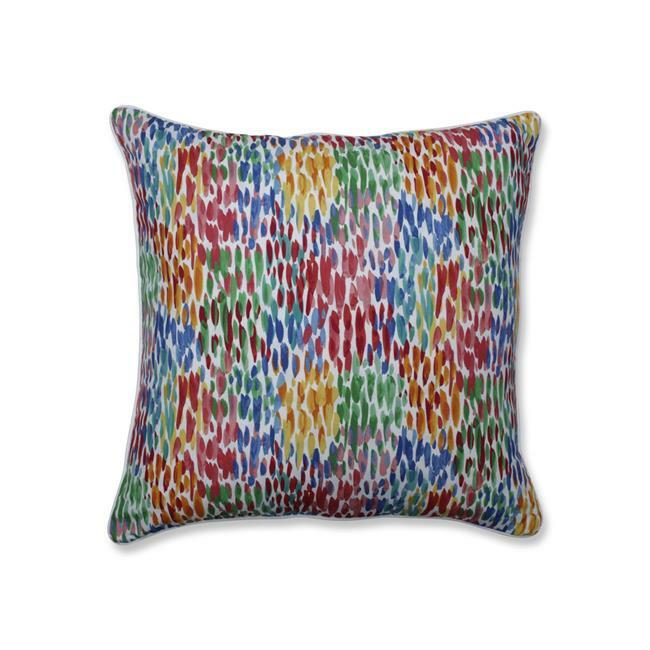 This irresistible contemporary outdoor floor pillow with its painterly feel was inspired by raindrops. Perfectly balanced, it is colored in brilliant shades of pink, aqua, yellow, green, blue and red against a bright white background. Combine this outdoor floor pillow with one or two of our outdoor throw pillow sets like outdoor Forsyth Soleil and outdoor Splash Maui for a fabulous curated look! This delightful Pillow Perfect exclusive will instantly enliven and update your outdoor patio decor. Additional features of this outdoor floor pillow include a contrast cord that gives it a high-end designer look and recycled polyester fiber fill with a sewn seam closure. Made from 100% polyester outdoor fabric, this floor pillow is suitable for outdoor and indoor use.